The kind of record that makes us mighty proud to live in the Windy City – and a long-overdue look at the wealth of rare club, disco, and soul cuts bubbling in the Chicago underground at the end of the 70s! 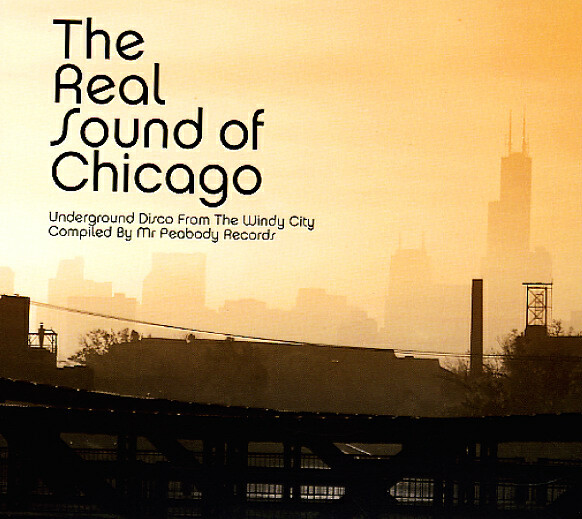 During the early part of the decade, the city was widely known for some super-huge soul acts – and in the 80s, house would raise Chicago to international fame – but in the space between, the city kept on putting out some really wonderful music – wicked little cuts issued on small indie labels, most of which never got any circulation outside the midwest! The Mr Peabody crate-digging team's collected together the best of the best from these overlooked years – and also threw in a few of their own edits too – furthering the dancefloor potential of some of the best rare nuggets. 2LP version features 8 cuts – including "Never Gonna Fall In Love Again" by Carmen Amez – plus seven Mr Peabody edits – versions of "Too Far Gone" by LaJohn & Sheela, "The Challenge" by Billy Hinton, "The Composer" by Fantasie, "Running To A Disco" by Lonnie Givens, "Bass Come Back" by The Moore Brothers, "Disco Ball" by Brighter Side Of Darkness, and "Your Love Is In The Pocket" by Premonition. © 1996-2019, Dusty Groove, Inc.